We were getting a little tired of playing Doom on every household applianceknown to man, office printers and even inside the game itself. 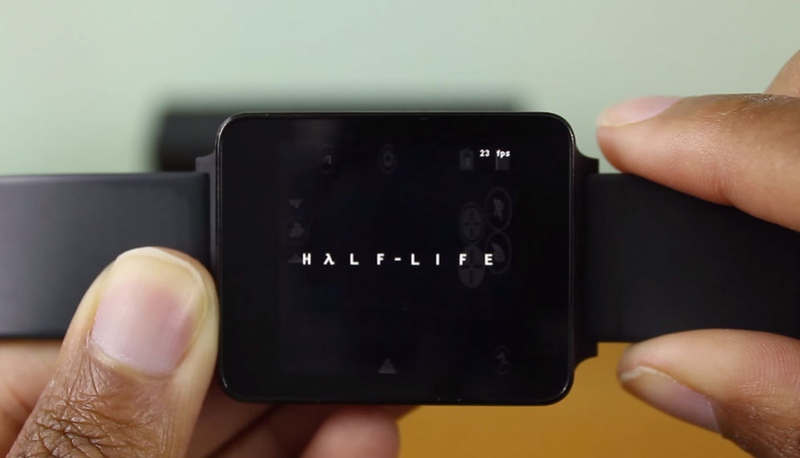 That's why it's a nice change to see that it's now possible to play Half-Life on your Android smartwatch, thanks to software modder extraordinaire Dave Bennett. He's been able to squeeze SDLash3D, an open-source emulator for some of Valve's early titles, onto the LG's first generation G Watch. Unfortunately, playing the title from your wrist is problematic, since the frame rate can dip down pretty low and the small screen doesn't leave you a lot of room to use the soft controls. Still, anything's better than having to bum around Knee-Deep in the Dead for the millionth time when we're bored on a bus. 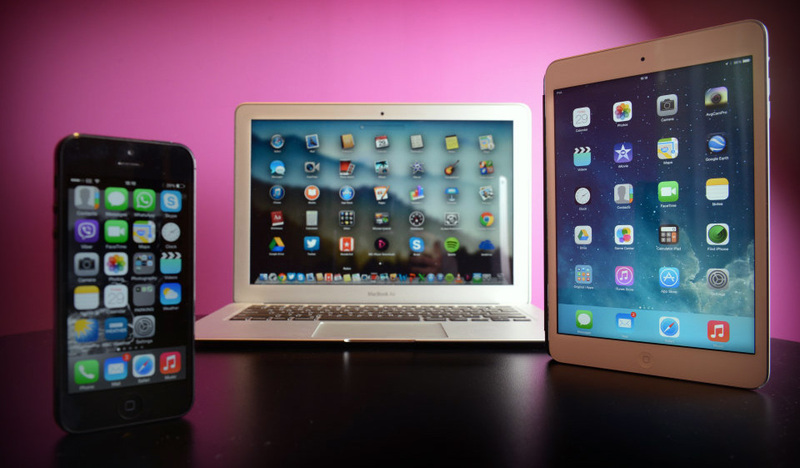 Consumers might be buying fewer iPads, but Apple’s unlikely to run out of money anytime soon. The tech titan has released its financials for its Q3 period, revealing that it generated nearly $11 billion in profit over the last three months. This is a good third higher than the same period last year. Revenue alone was $50 billion, unsurprisingly propelled by sales of the iPhone, which shifted 47.5 million handsets – a 60 per cent bump on Q3 2014. Of course, the quarter marked the first test for the firm’s new eponymous wearable, the Apple Watch, following its launch in April. However, the company kept quiet on unit sales of the timepiece, bundling it into its ‘Other’ product category, which was up 49 per cent year-on-year in terms of revenue. The ‘Services’ division was also up, growing 12 per cent on 2014’s figure, thanks to last month’s launch of the Apple Music streaming service. The service boasts a free three-month trial, meaning that many users won’t be paying a penny for a few weeks to come, so that figure is likely to rocket in mid-September, should it prove a success. Meanwhile, iPad sales continued to drop, down 23 per cent in year-on-year revenue, with CEO Tim Cook explaining back in October that the tablet range doesn’t see the same annual buy-and-replace lifecycle as its smaller mobile brethren, as people hang onto their pads for longer. Apple remains particularly popular outside of the US, with international sales comprising nearly two-thirds (64 per cent) of its revenue during Q3. Well, would you look at that. 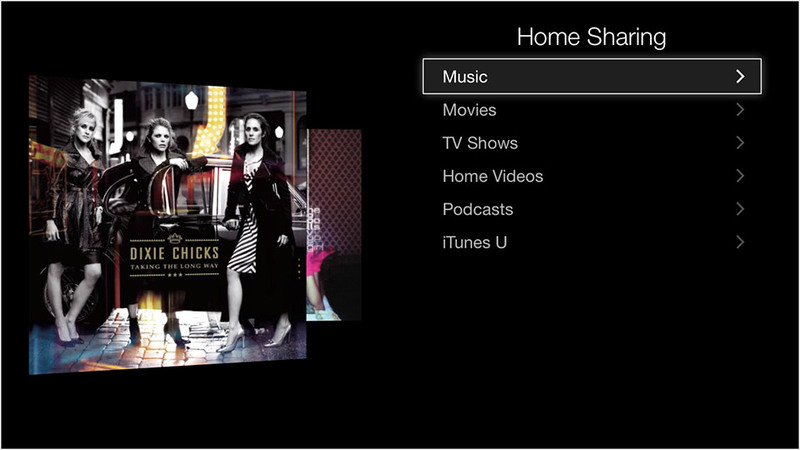 Not long after it was reported that Apple had killed Home Sharing for music in iOS 8.4, the company appears to be ready to bring the feature back to life. As MacRumors points out, Home Sharing for music is now included in the fourth beta of iOS 9 for developers -- sorry, public testers, this isn't for you. Apple's SVP of Internet Software and Services, Eddy Cue, said earlier this month that his team was working on restoring the feature, even though there was no indication of when that would be happening. But now it's here, so go have at it if you're part of the iOS dev program. Update 7/22: A day later, Apple has released a second iOS 9 public beta that gives you Home Sharing and other fixes from the latest developer version. There comes a time in every person's life when they realize that they can't get people behave properly. As much as we all might want to stop people from recording vertical videos, the Periscopes and Snapchats of this world have made these clips so prevalent that, sadly, they're just not going to go away. Giving in to the inevitable, YouTube's Android App is getting the ability to play vertical videos in full screen, rather than constraining them to an awkward letterbox designed for landscape clips. The feature was found by AndroidPolicein version 10.28 of the app, which is likely to hit Google Play at some point in the near future. Before you sprint to download the APK ahead of its official launch, however, just remember that this means that the bad guys have won. Kodi's media player got a name change last year and now it has something even better -- official Android status. The app formerly known as XBMC is now available on the Google Play store for all takers. It actually arrived to the store last month in beta form, but prior to that could only be sideloaded on Android. Version 15 (codenamed Isengard) now supports Android 5-specific features like 4K and variable refresh rates on certain Android TV devices, like NVIDIA's Shield. Another new trick on all platforms is "adaptive seeking" that lets you search material faster by tapping a key several times. 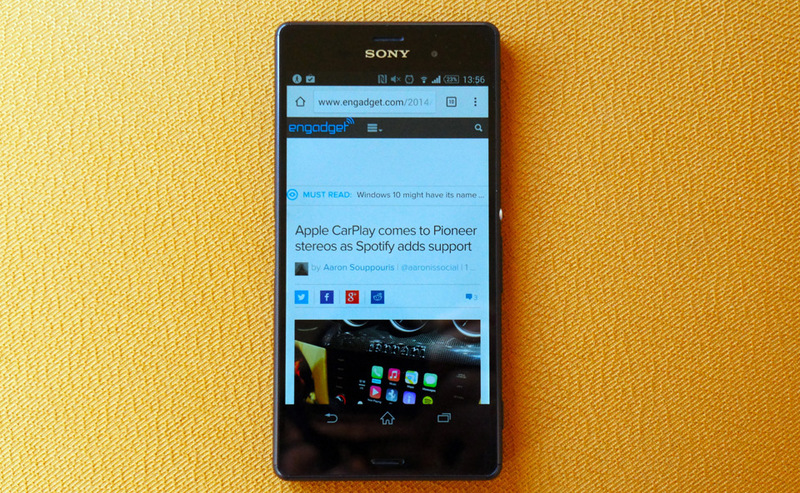 If you've ever wished that Sony would ditch its custom Android interface in favor of Google's 'pure' experience... well, you'll want to book an impromptu Scandinavian vacation. Sony is launching a 500-person Swedish trial of Concept for Android, a "stripped back" take on Android 5.1 for the Xperia Z3 that looks and feels like the stock Google interface while including Sony's more popular apps and features. If you're fortunate to be part of this test run, you'll both improve the software itself and shape Sony's overall strategy -- it's moving toward development based on "real user input" that will hopefully lead to more meaningful upgrades. And don't despair if you don't get in right now. The company is promising trials for more areas and more devices if this catches on, so you may still get a sneak peek at Sony's Android plans. When the first Ubuntu phone came out, reviews were quick to criticize it for its lackluster hardware and unusual take on common mobile software interactions. It's been out for a while, now, and Alastair Stevenson has written about his experiences using it for an entire month. While he doesn't recommend it for phone users who aren't tech savvy, he does say that he began to like it better than Android after adjusting to how Ubuntu does things. From the article:[T]he Ubuntu OS has a completely reworked user interface that replaces the traditional home screen with a new system of "scopes." The scope system does away with the traditional mobile interface where applications are stored and accessed from a central series of homescreens. ... Adding to Ubuntu’s otherworldly, unique feel, the OS is also significantly more touch- and gesture-focused than iOS and Android. We found nearly all the key features and menus on the Meizu MX4 are accessed using gesture controls, not with screen shortcuts. ... 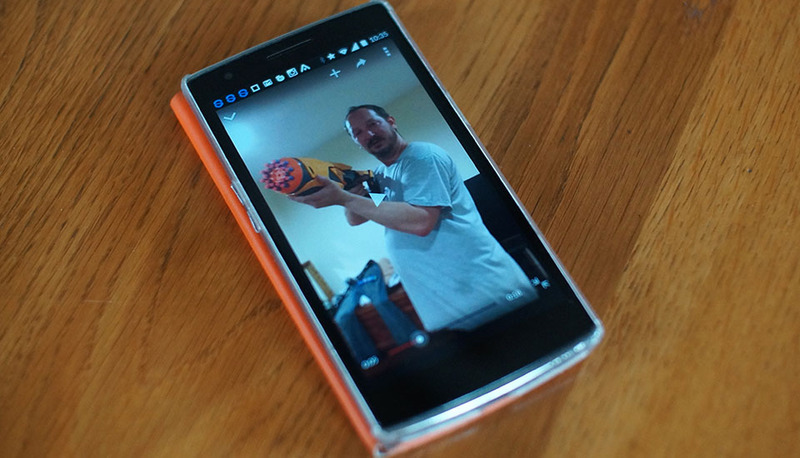 Finally, there's my biggest criticism – Ubuntu phone is not smart enough yet. While the app selection is impressive for a prototype, in its infancy Ubuntu phone doesn't have enough data feeding into it, as key services are missing." Apple has been quiet on the number of Apple Watch units it has sold so far, but that's not stopping analysts from estimating. Canalys says that Apple has become the 'world’s leading vendor of wearable bands' in Q2 2015, according to its estimates. It reckons the watch has reached 4.2 million shipments, overtaking rivals Fitbit, Xiaomi and other smartwatch vendors, despite Apple's product having a higher price tag. Analyst Stifel, on the other hand, believes Apple has sold 3.3 million watches. Forbes reports that Apple will still be reluctant to share numbers when its next financial report is published. The tech giant is expected to push its Apple Watch sales into the 'other products' category, along with Beats headphones, Apple TV and accessories, making it difficult to find out just how well Apple Watch sold. Some say Apple are keeping cards close to its chest as it doesn't want to share details with its competitors, while others suggest the company doesn't want everyone to know how poorly it has sold. Just like Taylor Swift in Bad Blood, Samsung has also found a powerful group of backers in its fight against Apple in court. According to a document unearthed by Inside Sources, Google, Facebook, eBay, Dell, HP and other big tech corporations have submitted a "friend of the court" brief on July 1st, supporting Samsung's stance. The two companies have been embroiled in legal fisticuffs for years, ever since Apple first filed a lawsuit against Samsungfor violating various intellectual properties, such as tap-to-zoom, single-finger scrolling and two-finger zooming, as well as edge-to-edge glass design, among other things. It's been almost three months since the Apple Watch launched, and the tiny device hasn't taken people's wrists by storm. That's not to say it's a failure — experts estimate Apple has sold between three and five million of them, and we may get more detailed sales information during their earnings call, tomorrow. But many major app developers are still missing from the Watch's catalog, and Apple doesn't have a good way of roping them into the new section of its ecosystem. "I don't know if we could get it all in there in a way that feels good and works well," said a Facebook executive. "Why would you look at a small picture when you can look at a large one on your phone?" said Snapchat's CEO. The app rush that hit phones and tablets is dampened for the Watch. For now, all Apple can do is improve their development toolkit and hope coders can figure out useful new wrist-based interactions. 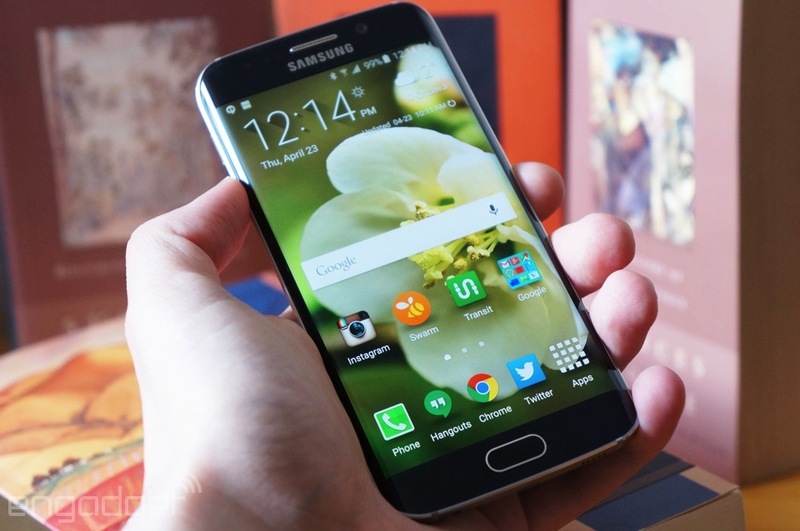 Samsung may not be pinning all its hopes for summer phone supremacy on the Galaxy Note 5. 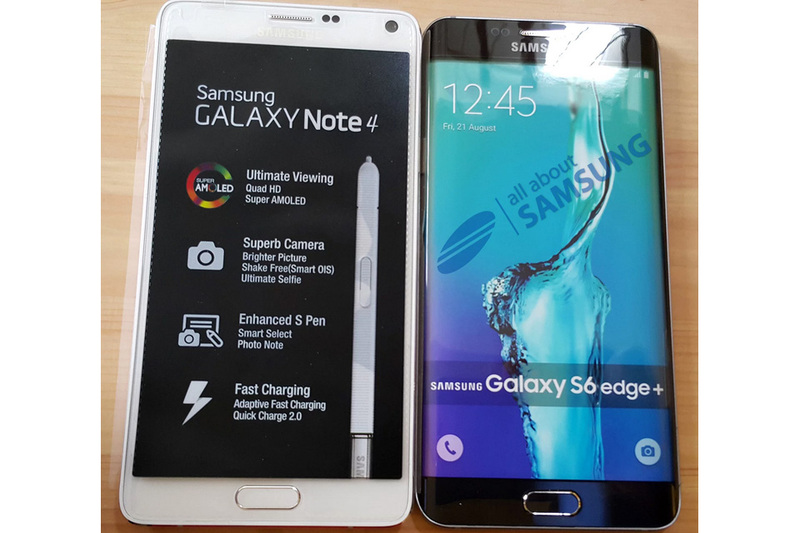 All About Samsung has posted photos of what's supposed to be a store dummy unit for the Galaxy S6 Edge+, an extra-large version of itsdual-curve flagship. There isn't much to reveal about what's under the hood, but it's clear that the screen is about as large as what you'd see on the Note 4(that is, around 5.7 inches). Also, there are no obvious hardware tricks here -- the curve isn't pronounced enough for a Note Edge-style strip, and you certainly aren't going to find a pen, microSD slot or removable battery. 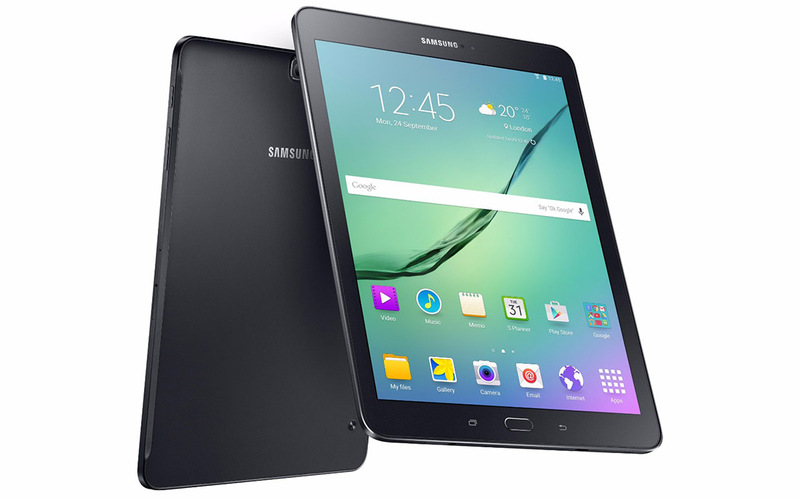 Samsung has revealed its new 8-inch and 9.7-inch Galaxy Tab S2 models, and they're considerably different from last year. As revealed by a leak yesterday, it shrunk both of last year's models and killed the widescreen (16 x 10) aspect ratio, instead giving them an iPad-like 4 x 3 format. The company said that'll help "recreate the viewing experience of browsing through traditional print media," and make it easier to read e-books and web pages. 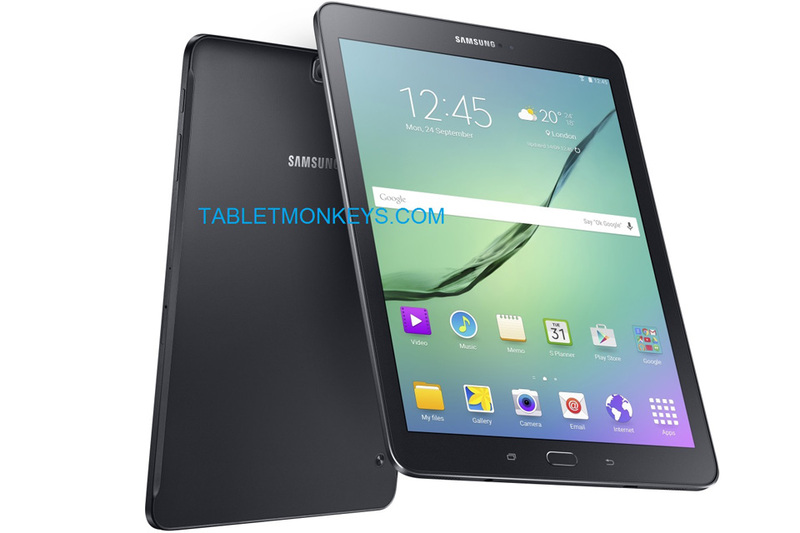 On the other hand, less of the screen is now available for watching movies, particularly since both Galaxy Tab S2 models have also taken a step down in resolution from QuadHD to 2,048 x 1,536. If you want everything Apple's iPhone can do except the "phone" part, the $400 cheaper 6th-gen iPod Touch is for you. It even has the iPhone 6's A8 chip, albeit running a tad slower. 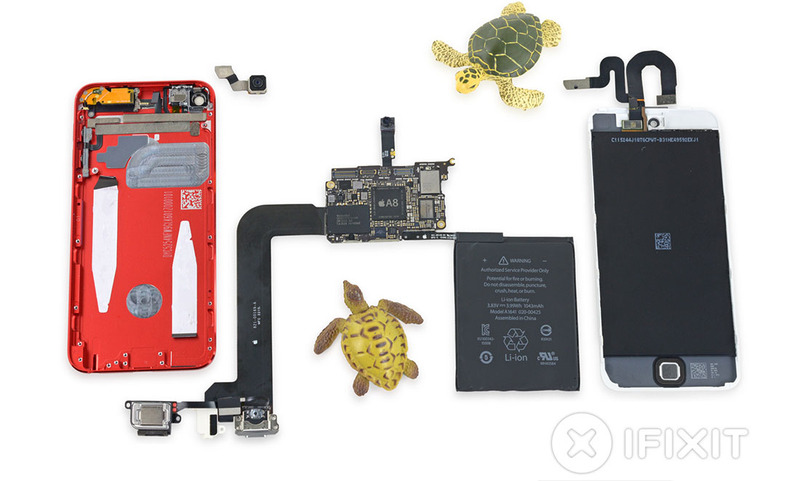 The iFixit team has taken the 4-inch device apart to view its guts and see whether Joe Shmoe could fix it with the right tools. Its findings? The Touch has a pretty nice camera for a music player, but lacks the iPhone's image stabilization and has a slightly slower f/2.4 iris. It's also missing the pricier sibling's touch sensor, but otherwise shares a surprising number of parts. And if it breaks? Unless you're prepared to heat, tweeze and pry, you'd best leave the fixing to Apple. Back in February, Adobe updated the iOS version of Lightroom to include a number of handy features. While the mobile-editing software has been on Android since January, today's update brings it up to par with the version for Apple's devices. This means that the ability to copy and paste edits from one image to another without having to retrace (retap?) your steps is now available for the Android faithful. There's a new crop tool as that makes quick alignment tweaks and auto-straightening a breeze. A segmented view in Collections allows for easy search and browsing of all your images, too. 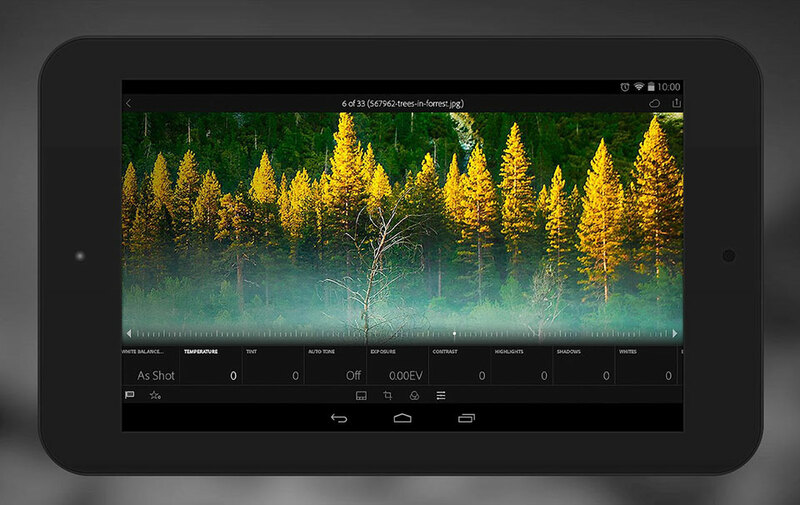 Of course, in order to get the most out of Lightroom mobile, you'll want to use it alongside a Creative Cloud subscription -- especially when it comes to syncing previews and changes from the desktop version. If you're ready to give it a shot, the update is available now from Google Play. Marshall may be better known for its music equipment, but that isn't stopping the company from bringing a better audio experience to the smartphone market with its London handset. Given its highly customizable nature, it should come as no surprise that London runs Google's Android operating system (Lollipop 5.0.2). The London features dual front-facing speakers, a Wolfson WM8281 sound processor, Bluetooth atpX support, and a gold-tinged scroll wheel on the right side of the device that handle volume control, which Marshall says offers "tactile precision [that] allows you to find that sweet spot of sonic goodness." Once you get past the audio-centric functionality, there's a lot of lower-end hardware under the hood of the London. You'll find a 4.7-inch 720p display, a quad-core Qualcomm Snapdragon 410 processor with 2GB of RAM, 16GB of internal storage, a microSD slot, LTE connectivity, 8MP rear camera, 2MP front-facing camera, and a removable 2500 mAh battery. In other words, those specs make the London more in line with the Moto G.
Cortana is here for Android ... sort of. 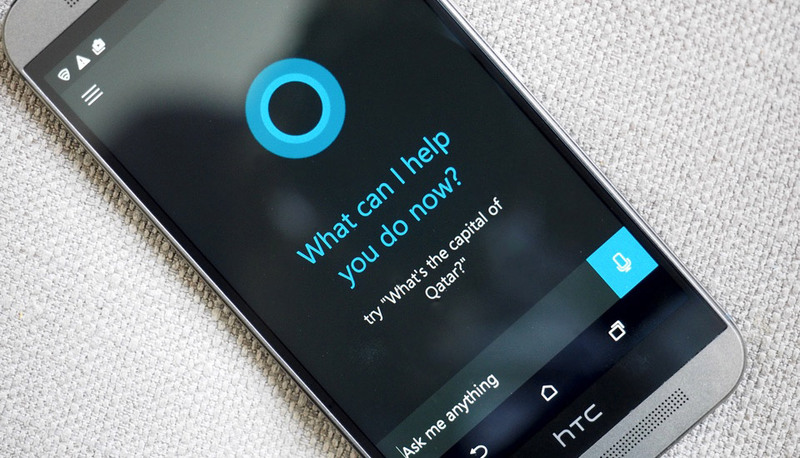 Microsoft announced back in May that it would be bringing Cortana to Android, and it was expected to land this month to coincide with the release of Windows 10. But now it looks like an Android beta release of Microsoft's digital assistant has hit the web early, reports the Finnish mobile site Suomimobiili. We've installed the app on an HTC One M9 and it works just like you'd expect. You can ask Cortana about the weather or basic facts; have her call someone on your contact list; or set reminders. Unfortunately, you can't say "Hey Cortana" to get her attention yet -- even when you've got the app open. We don't expect this leaked Cortana copy to stick around for much longer, but it's a good sign that Microsoft is indeed getting close to an official release. 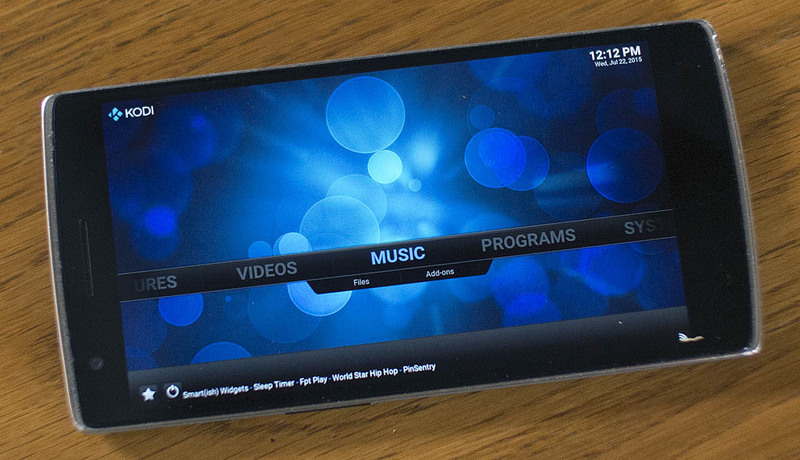 Don't look now, but Samsung's widescreen Android tablets might be going the way of the Dodo. Tabletmonkeys claims to have leaked images of the Galaxy Tab S2, and the high-end slate appears to be adopting the same wide, iPad-like aspect ratio as the Galaxy Tab A. In fact, it might lose size and resolution compared to the original Tab S lineup -- instead of 8.4- and 10.5-inch 2,560 x 1,600 displays, you'd be looking at 8- and 9.7-inch 2,048 x 1,536 panels. That wouldn't be so hot for your widescreen videos, but it'd be better for web browsing and anything else that benefits from portrait mode viewing. Clinical depression is the kind of ailment that can sneak up on you, ruin your attitude, destroy motivation and lead to a multitude of other mental health issues. It can be managed if you're aware of it, but a lot of depression goes undiagnosed. It doesn't have to be that way--researchers think that smartphones could one day serve as an early-warning system by passively monitoring your behavior. Android users on select networks will soon get native "visual voicemail," a feature that iPhone users have enjoyed since forever. In case you're wondering, that's a way of checking and deleting voice mails via an app, rather than having to call a carrier number and go through them one by one. 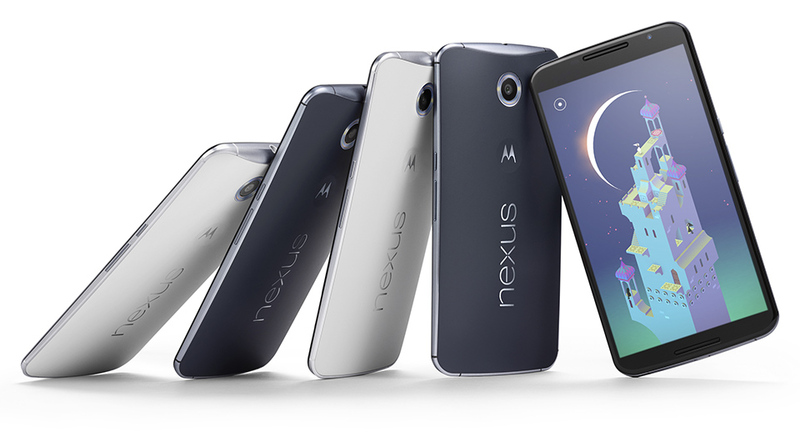 The feature was spied by Android Police on a support ticket for the upcoming Android Mrelease and via Google+ user Danny Hollis. Hollis showed a screen cap of the new interface (below), and said it's now implemented for T-Mobile in a preview build.